Here at Hewes Security we provide a range of security solutions including access control in Basildon. 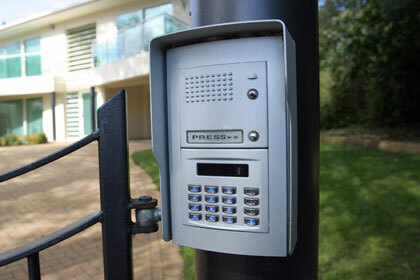 Our access control solutions can be integrated with other security systems including security gates. A great advantage to access control is that if you lose your electronic key then you do not need to worry about changing all the locks, but instead make a new key and remove the old key off the system, saving you money.